If you follow me on Instagram, you'll know that lately I've been pretty obsessed with the idea of cycle syncing. Now, before you roll your eyes and think, "zayum, this girl has LOST IT", hear me out. Cycle syncing has been around for centuries. Cycle syncing is when a woman syncs her life around her menstrual cycle. As someone who has been through a slew of hormonal imbalances, PCOS, eating disorders, and adrenal fatigue, my period was something that came and went on its own schedule. Last year I decided I was determined to work with my hormones to get my period back, and by following the Womancode protocol, reducing stress in my life, cleaning up my diet and making some major lifestyle changes, I managed to reverse my PCOS symptoms and eventually, I got my period back. When I got my period back, I was so grateful, but still so scared that I would "mess up" and lose it again. I had some fear and anxiety that I would revert to old habits and my period would say "goodbye" once again. 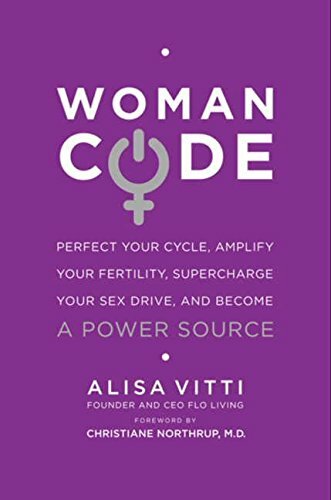 Within the book Womancode, Alisa talks about learning to sync with your cycle. The whole ideology behind this is genius- it talks about how with life, there are ups and downs, it flows. It is never constant. Sometimes we as females get stuck in thinking that life should always be the same- we should ALWAYS feel good, high energy, easily slip into our jeans, ALWAYS kill our workouts, ALWAYS eat salads. There's no balance. This is the masculine way of thinking. Instead, Alisa urges us to embrace the feminine energy, which is that of a flowing, ever-changing cycle. Just like most things in nature (four phases of the moon, four phases of seasons), there are 4 different phases of the female cycle: Luteal, Menstrual, Follicular, and Ovulation. Throughout these 4 different phases, your hormones are at alternating levels. Your energy, diet, willingness to socialize and emotions differ from phase to phase. As females we are really only educated on the menstrual cycle, which is why I was so intrigued and surprised by how little I knew about the other 3 phases. When I was just starting out on my health journey I was an extremist, so I'd continue to push myself through hard workouts even though I didn't feel up to it. I'd still go for a long run on my period. I'd ignore what my body was telling me and I'd fight like hell against it and then end up feeling super depleted and disappointed in my body. Now, I listen to my body and I trust my intuition to tell me what it needs and wants. Below, I've outlined some of the ways cycle syncing has benefited me in different areas of my life. Eating a wide variety of foods is one of the most beneficial ways of balancing our hormones and making sure we are getting all the necessary nutrients our body needs to THRIVE. Below is a chart that exhibits the different foods that should be used in each cycle. Although I do my best to incorporate these foods during each phase, I am not 100% strict with myself about it. For instance, if I am in my follicular phase and someone offers up a cauliflower appetizer at a cocktail party, I won't say "how dare you try to feed me something for my luteal phase? I am in my follicular phase right now! CAN'T YOU TELL? I'M LEAVING THIS PARTY". I follow this chart with grace and the 80/20 rule. It's been helpful to use this as a way to plan my meal preps and figure out what to eat for the week, but I don't get obsessive about it. Within Alisa's My Flo app, she also lets people know which foods help your phase and why. For instance, roasting veggies during your luteal phase helps stave off sugar cravings while a plethora of leafy greens keeps water retention at bay, both common PMS symptoms. Also, during your menstruation cycle, seaweed helps replenish the body of iron which you lose during your period. Now that's not to say you can't go on walks or take a yoga class or lift some weights during menstruation. Every body is different but generally speaking, taking it easy during your menstrual cycle will give your body a time to rest and reset so during your next phase, you have THAT much more energy and stamina to KILL IT in your next boxing class or long distance run. In general, my workout schedule is as follows: SoulCycle 2x/week, HIIT 2x/week, run OR yoga 1x/week, 1 rest day. During menstruation, I take 2 or 3 days off in a row, then ease back into working out by taking a long walk, a gentle yoga class, or a pilates/light weights class. I feel so rejuvenated doing this and like I'm really on my body's team. You know how sometimes you're feeling magnetic, energized, and dying to meet new people, and other times in the month you feel withdrawn, anti-social, like you need to do some meditating/reflecting? Then you're actually already cycle syncing. Below is a chart that examines the female social and energetic focus during each phase. I find this chart really helpful for me. In general, during my period I spend lots of time alone, reflecting, journaling, and taking long baths. I say "no" to most social situations and use this time as a way to reflect on the past month to see what worked and what didn't. Think of it as a time when your body is shedding a lining, and for you to shed specific habits, people, or hobbies that are no longer serving you. A little "spring cleaning", if you will. In the follicular phase, I set goals for myself and plan out my month. I also set intentions for myself and my career. It's a great time to start projects as your brain is most active with structural thinking. During my ovulation phase, I'm normally most social. I crave time with my girlfriends and say yes to all social invites. I also plan my own calendar according to my cycle. When I'm ovulating, I am most communicative so I plan important business meetings and first dates around this time. I'm also most apt to collaborate during this time. It's a great time to call an old friend or your mother. In the first half of my luteal phase I feel still social so I still go out and hang with friends. I'm usually most assertive during this phase, no BS. Halfway through, I begin to feel agitated if I am around people too much and begin to feel myself turning inwards. Obviously, in modern day America I don't have the pleasure of saying "no" to all social obligations and meetings, so I practice grace here and do my best to honor my body while staying realistic. For other resources on Cycle Syncing, I definitely recommend picking up the book Womancode, get the Floliving myFLO app, and following the FloLiving blog. Thank you Alisa Vitti for this amazing resource and book. Couldn't do it without you!